LESS Mowing - yes please! - Reduces grass top growth. - Increases sideways and downward growth. - Improves colour, appearance and density of sward. - Cuts down wear and tear on machinery and petrol costs. 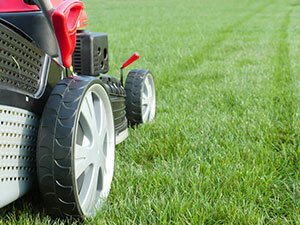 Treatments are made regularly through the growing season and are included in our Gold Lawn Care Package.